Is the Euro Area Ready to Handle a Brexit? The euro area is recovering slowly, but surely. 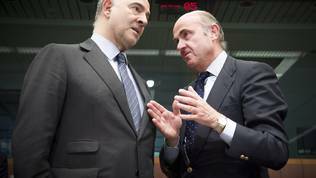 So surely, that Economic and Monetary Policy Commissioner Pierre Moscovici (France, Socialists and Democrats) definitively announced the end of austerianism in favour of a looser fiscal policy. Supporting his call, the European Commission abdicated from its role of Guardian of the Treaties and granted generous concessions to states, which systematically violate the fiscal rules. Surprising support for this looser fiscal policy came from the European Central Bank boss Mario Draghi. 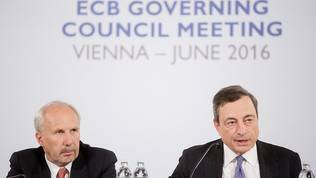 After the end of the June meeting of the Governing Council of the ECB last week, Mr Draghi called for the fiscal policies of the countries sharing the common currency to support economic growth. He did emphasise, however, that the Stability and Growth Pact, which sets the boundaries of member states’ fiscal policies, must have “full and consistent” implementation. This apparent optimism could be explained by the current political and economic situation in the EU and the euro area. Mario Draghi announced for the first time that the possibility of Great Britain deciding to leave the Union at the June 23rd referendum is among the largest risks for the euro area’s economic outlook. The Brexit is accompanied by the problems in global economy and geopolitical risks. As usual, the ECB boss was modest on details, simply assuring that the ECB is prepared for any result – British leaving or staying. He repeated that Great Britain’s membership in the EU is beneficial both to the UK and the euro area, so it is better the country stays in. 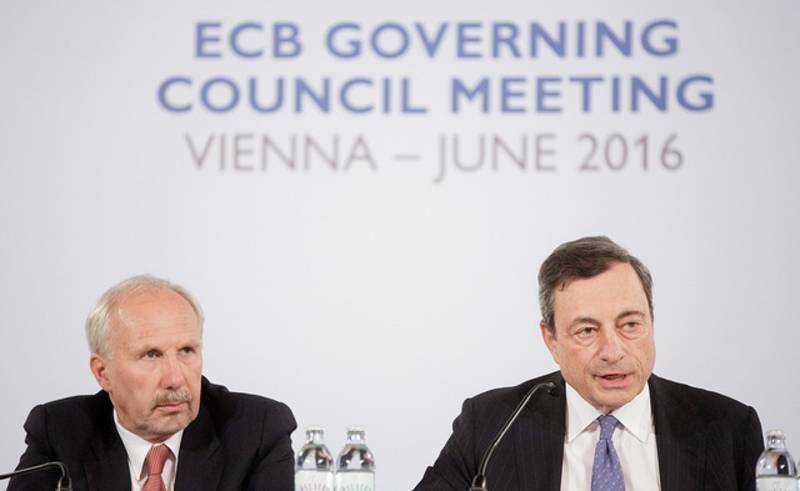 “The ECB is ready for all contingencies”, stressed Mr Draghi as a reply to the many questions on the subject. Where to after a Brexit? 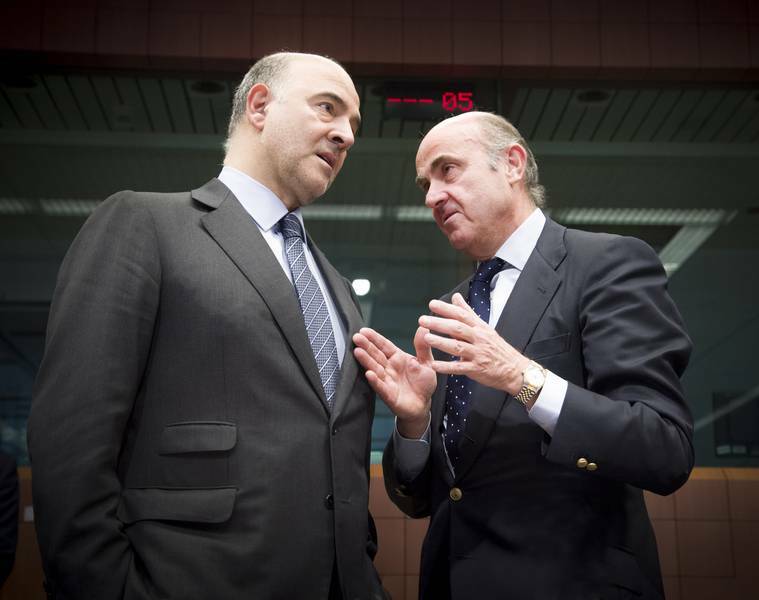 There are two predominant ideas in the euro area at the moment. One is that the most-logical way to go after a possible leaving of the United Kingdom has to be to immediately continue the currency club integration. The road has already been paved in the five presidents’ report, presented last June right at the peak of the threat of Greece leaving (Grexit). Another idea is that integration should not be rushed, lest a process of disintegration begins and the results of next year’s elections in the EU engine – France and Germany – are seen first. During the press conference in Vienna last Thursday, Mario Draghi was asked whether he still believed the five presidents’ report to be valid. “It's not a question you should address to me but to the leaders, because it's a political question”, he began and further said: “But what the Five Presidents' Report basically says is that if the monetary union remains incomplete it remains fragile, and it remains vulnerable to shocks. To shocks of an economic nature, to shocks of a political nature”. On the day the Governing Council of the ECB met in Vienna on the occasion of the 200-year anniversary of the Austrian national bank, the boss of the Eurogroup (one of the co-authors of the report) gave an interview for several European media, in which he was more cautious regarding the future of the euro area. He, too, is of the opinion that Great Britain should stay in. It should not stand in defence and guard the interests of the London City, but be on the lead, so that everything is done correctly. 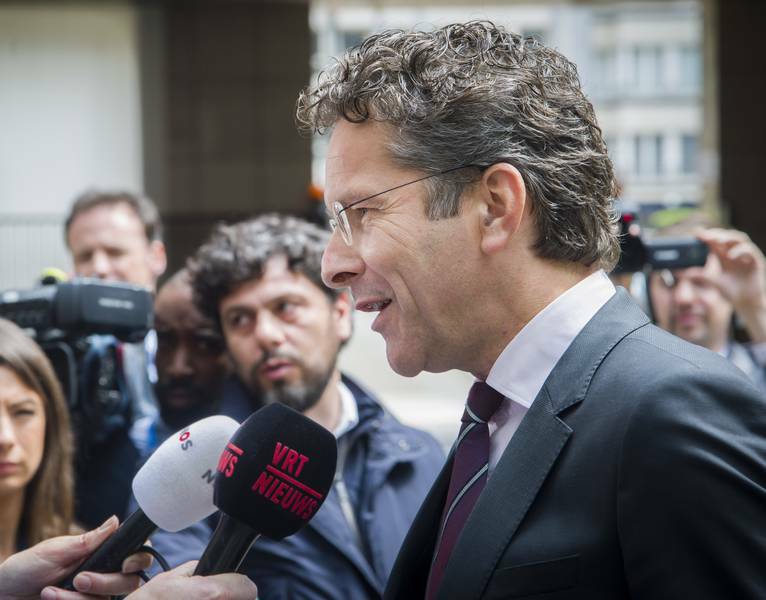 Jeroen Dijsselbloem (The Netherlands, Socialists and Democrats) stated that there is no contingency plan on what is to be done in case Brits vote to leave the Union, but many ideas are being discussed. “I don’t think there will be chaos and panic”, he said, quoted by The Guardian. “The most important message that has to come from us both today and on the 24th is that we have to make [the eurozone] work, that we are determined to keep strengthening the monetary union - which, by the way, is not necessarily a full political union - but strengthening what we have”. The Dutch finance minister underlined that the euro area should concentrate on completing work, which is already on the table, rather than “dreaming away about a European finance minister”, which are the likes of ideas being pushed by pro-federalist inclined circles in the EU. And the work on the table at the moment is the five presidents’ report, which envisages a two-stage development. The first stage is working on implementing all legal norms, which have already been adopted, and the second one provides for a more intensive work on economic convergence between members of the currency club. Institution construction, provisioned in this newer version of the project, is much more modest than its predecessor and the standalone version, presented by former EC boss José Manuel Barroso (Portugal, EPP). Last autumn, under the Council presidency of Luxembourg, intensive work was done on the future of the euro area, but the Dutch presidency is much more passive and cautious in this sense. Right from the start of the presidency, Dutch Prime Minister Mark Rutte announced that no new visions and ideas are to be expected during the six Dutch months at the lead of the Council of the EU. Jeroen Dijsselbloem spoke to European media in the same spirit. He believes one of the reasons why Europe became vulnerable is the fact that over the last decade many steps were made towards enlargement and deepening of the Union, but the job never got done. “We took away internal borders, which is a good idea, but we failed to secure the outside border. We start projects but never really seem to finish them”. The problem at this stage is not that there is no appetite for deepening the integration in the euro area and that cautiousness about the future surrounds the British referendum, but that there is a refusal to act on even the (provisionally) first stage of the five presidents’ report. Instead of working on implementing the agreed rules, there is more and more talk of rewriting them, and with its country-specific recommendations this year the EC made the tendency of recent years of circumventing rules or not implementing them at all for political reasons into a tradition. This got sharply criticised by Mr Dijsselbloem, who stated that this approach could undermine the attempts at deepening the monetary union. “If the commission is only strict with smaller countries and unable to be strict on larger countries, that would be devastating for the confidence we have in our cooperation”, states the Eurogroup boss in his interview of last week. “You have to be a little careful if it is in your advantage that the Commission turns a blind eye … In the end, if we turn a blind eye everywhere, we make a blind monetary union”, he added. It is the first time Dijsselbloem talks about the EC decisions on the European semester this year. He refused to do so at the previous Eurogroup meeting. This year’s country-specific recommendations will be the subject of the meeting of finance ministers of the EU on June 17. 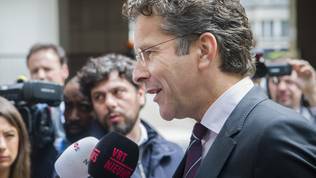 It will become clear then how many of the ministers share the opinion of Jeroen Dijsselbloem, who is known as a conductor of the austerian school of thought. The subject of what to do after the British referendum will be one of the main issues on the agenda of the June EU summit on June 28 and 29.